Introducting the EcoNappi from Swaddlebees! This is a one size diaper that can be used as a pocket diaper or an All In 2! The best part is that the diaper is made with organic cotton velour, so organic fabrics are next to your baby's skin! Recommended size range for the Econappi is 10 - 35 pounds. 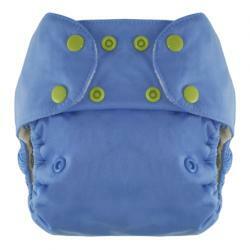 It's a one size diaper made with a waterproof outer layer of PUL and an inner layer of organic cotton velour. It comes with a one-size insert made with organic cotton velour and hemp. Available in both snap and hook & loop closures. The pocket opening in the back allows you to use it as a pocket diaper. 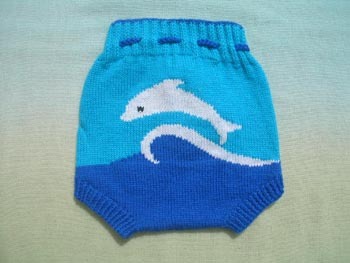 You can also use it as an All-In-Two diaper by just laying the insert on top of the diaper. If the diaper isn't soiled, just change the insert and reuse the diaper. All Econappi's come with one uper absorbent insert made of organic cotton velour and hemp!